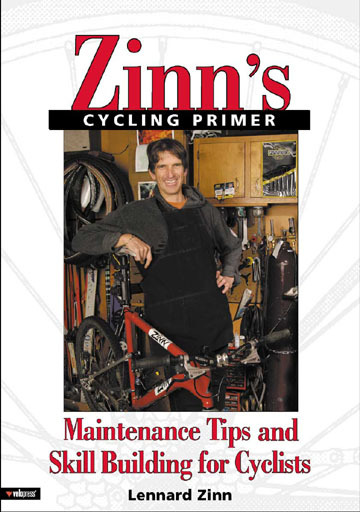 My prior books have tended to be all about the bike Ã± about maintaining and improving the parts of it. While the hardware is indeed important, in my own practice of cycling it takes a back seat to my focus on my body and its state of health. DonÃ­t get me wrong Ã± I love fine-tuning my machine so it is light to lift, easy on the eyes, and runs like a Swiss watch. However, the fact remains that you can always fix or replace the bike or its parts, but you only get one body, and you had better make it last for the duration. If your position on the bike is off in a critical way and you pour on the miles, you will end up injured and not able to ride. Similarly, if you allow your body to adapt only to cycling and not take care of the resultant muscle, joint and connective tissue damage and imbalances it can create, you will likewise end up unable to ride, reduced to being a whining mass of complaints. Finally, you can have a good time riding a clunky old piece of junk if your body feels good. But if you are in pain, it does not matter how elegant and precisely-functioning your bike is; you will simply not enjoy the ride, which is what this is all about. This book incorporates a long-term approach, focusing on fitting you precisely to the bicycle to be efficient and pain free, as well as focusing on what you can do for those areas of the body that cycling neglects or even compromises so that you can ride comfortably and enjoyably late into life. It also goes into specific skills for riding and working on your bike that will pay dividends for years to come in your enjoyment and confidence. This is my Ã¬top 50Ã® list of things you can do to be faster, more efficient and comfortable on your bike.